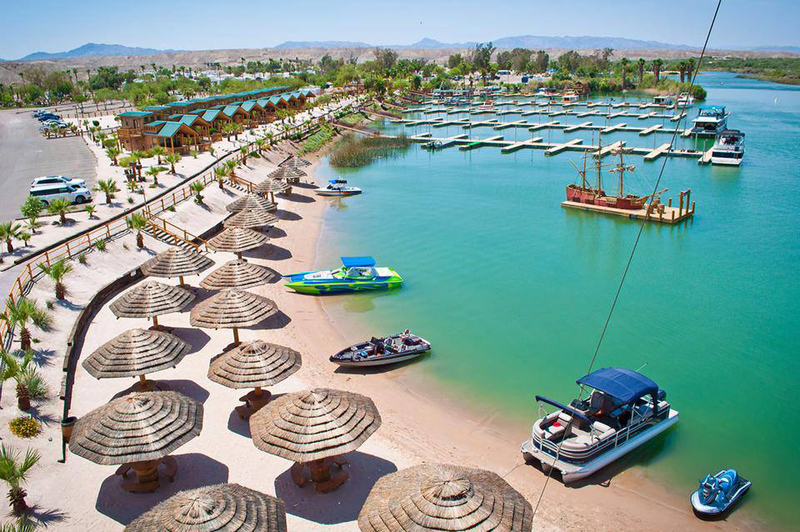 Campsites and Cabins located right on the beach, and marinas. 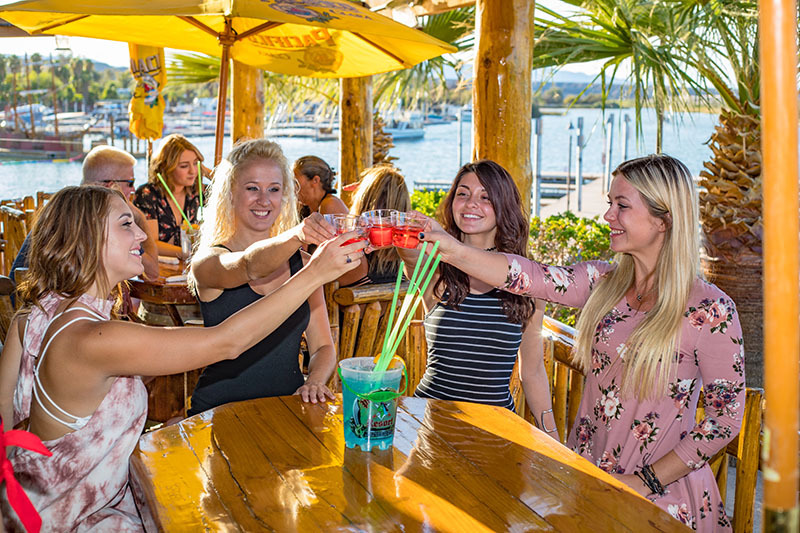 Park your boat steps away from your stay and enjoy all of the fun the Colorado River has to offer! Our all inclusive resort will keep you family at play in the water and off-road! Leave the Food at Home! Let Us Do the Cooking! 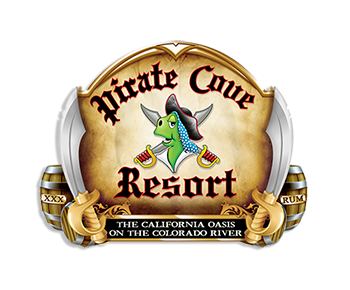 Our Pirate Themed restaurant has amazing food, waterfront seating, live entertainment and more!